A mass email sending service can be used to send marketing emails to a bulk list without the worry of getting blacklisted or creating issues with your email service provider. There are many mass emailing services available for B2B marketers. They will often provide useful features such as email templates, and reporting to make sending profitable email campaigns easy. If you decide to use a free bulk email service, prepare to have a limit on the number of emails you are allowed to send each month. For example, Mailgun’s free plan caps off at 10,000 emails per month with their free plan. If your intentions are to reach a much larger email list, you’ll have to purchase a paid plan from one of the many mass email sending services listed below. Before I share some of the mass emailing services I have researched, let’s discuss what to look for in a sending software. Building a powerful marketing message is the fun part, but getting the email delivered to the intended recipient’s inbox can be tricky. If you try to send a mass email campaign from your email service provider (ESP), you will most certainly run into issues. This includes everything from landing your message in the spam filter, and getting your IP address banned. To effectively deliver bulk email campaigns to a large mailing list, a mass email sending service is the answer. They take care of all of the backend technology involved with sending a bulk campaign, even if you are sending to a purchased list. Be sure to double check and see if your bulk email service provider includes the option of uploading a purchased (cold) list before choosing your plan. Another question to ask the live-chat agent of your email service is the typical deliverability rate of the campaigns. Open rates and responses will be much lower than a typical opt-in drip campaign, so set your expectations accordingly. Some mass email service providers offer a free trial so you can see the service in action. This is a practical way to discover what type of response rate you can expect from your bulk email campaigns. You should also look into how many emails you are allowed to send per month, as there are limitations on this. If you are trying to reach a mailing list of 100,000 recipients or more, you’ll need to select the plan that’s right for the amount of volume you have. From there, you’ll want to segment the campaign into specific audiences to send messages that serve the reader in a more relevant way. What exactly is a mass email campaign? Mass email campaigns are sent by B2B marketers looking to reach a large audience of potential customers. The speed and directness of email mean that it continues to be an effective digital channel. There are constant new challenges to overcome in this realm, from increased spam filtering to machine learning algorithms that can understand the difference between a personal email, and a marketing message. Fortunately, a dedicated mass email sending service uses the latest technology to optimize delivery in an increasingly complex environment. 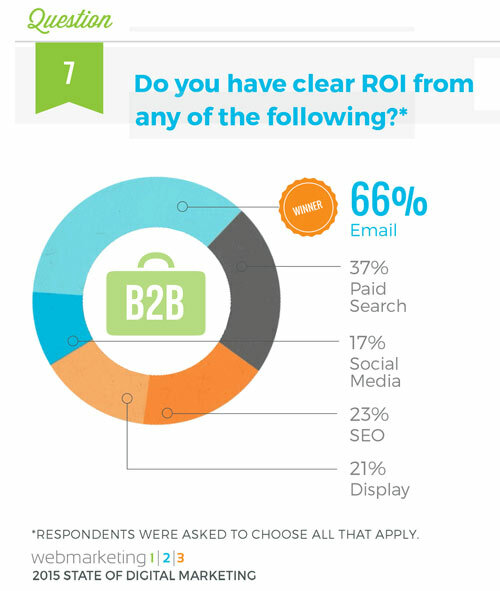 Despite these challenges, email marketing in bulk continues to provide a healthy ROI for many businesses in the B2B space. The number of email accounts continues to rise, and statistics show that business professionals still prefer to use email to communicate over social media networks. The messages themselves can be anything from an informative newsletter discussing the latest industry news, to a time-sensitive promotion. 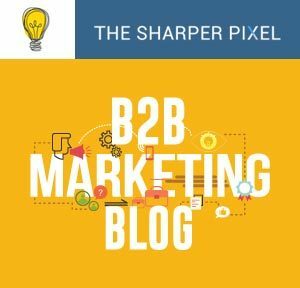 B2B marketers put a lot of effort into the design and messaging of their emails, which makes the idea of sending a mass email campaign that is destined for the spam folder very discouraging. Getting your message to the inbox is a critically important first step before any purchases or sign-ups can take place. The usefulness of any emailing software relies on its ability to successfully deliver your messages. A quality mass email sending service will also offer support for those that run into trouble. Whether its an issue uploading an email list or guidance for editing a certain template – the support team must be reliable and available for its users. A dedicated support team is often the difference between a free plan and a paid plan. Below, I’ll cover the most important features of a quality mass email sending service. A quality high-volume email sending platform will include advanced statistics and reporting so you know when your contacts open your emails, and where they clicked. A complete overview of your emails performance allows you to make actionable insights to improve campaign performance. For example, Mailjet includes a useful dashboard that provides information about your campaign performance via by automatically appending each link in your email with a tracking code. If you try to send your email marketing message to massive list all at once, you are most definitely going to land it in the spam filter or have it bounce back. Sender reputation comes in to play here, as this is how the mailboxes see you as a sender, and whether they can trust you or not. Improving your email deliverability rate involves a concentrated effort towards improving your sender reputation and avoiding the common errors that marketers make when validating email addresses. When sending email marketing to a purchased list, precautions such as list cleaning and validation must be taken. For example, the Clickback MAIL software runs your cold list through an advanced hygiene checker during the upload process to remove bad email addresses, spam traps, and honeypots. Without identifying and resolving these issues, your email deliverability rate will plummet, as you have triggered the spam filters with your message. The sender reputation score is calculated using your sending history, number of spam complaints you’ve had, and the number of spam traps your emails have hit (among other things). Without being able to see what’s working, and what’s not (from a marketing perspective), how are you supposed to refine your message to better serve your audience? Testing and running experiments is a necessary part of digital marketing, yet it is not possible without a practical reporting system. Tracking the open rates and response rates of your segmented campaigns allows you to make data-driven, informed decisions about the content you need to write next. From a technical standpoint, tracking the performance of your email campaign will show you how good your email marketing service is at delivering your message. For example, SendBlaster presents you with a powerful data analysis tool that tracks your campaigns open rate, click-through rate, and several other relevant metrics. These are the areas that you need to pay attention to after the campaign has gone out so you can make informed decisions moving forward. A little bit of up-front work can go a long way in the world of bulk emailing. List segmentation is the strategy of dividing your email lists into groups. This is one of the many basic email marketing best practices B2B marketers have used to improve open rates and conversions for years. The process allows you to tailor the emails specifically to each segment. Rather than “batch-and-blasting” your message to a broad audience, take the time to segment the different audience types into groups. These segments can include sorting the contacts by industry, geographic location, or job title. When you are able to better communicate with the reader by speaking their language, your campaign performance can improve. This strategy can improve the effectiveness and ROI of your marketing efforts. A helpful support team that is on deck and ready to answer your questions are vitally important. The complexities of list management, HTML editors, and the general process of sending a mass campaign mean that you will undoubtedly run into potential problems. Luckily, a knowledgeable support team has been through these issues before and can help get you through it. Your experience with the live-chat agent on the product page of the website will give you a sneak peek into the level of service a mass email sender will provide. Be sure to have your initial up-front questions ready for the support staff during orientation, so you can vet the user experience. When choosing a mass email service, compare more than just prices and the number of emails you can send per month. Look at the features and tools you will be using to build your bulk campaigns. Without a useful reporting system or list management, you can quickly burn through your budget by sending ineffective email marketing messages that do not provide an ROI. I suggest that you also experience the support team on staff, as you will likely need to lean on their expertise more than you anticipated!